Nichols runs for District Court judge – Welcome to Wyandotte Daily! Democrat Mike Nichols has launched his campaign for Wyandotte County District Court Judge, citing his years of experience representing the citizens of Wyandotte County. He is running for the Division 5 position, as Judge Dexter Burdette is retiring later this year. Jane Sieve Wilson also is running for the Division 5 position. Nichols, a former Wyandotte County prosecutor, has spent the last several years as a lawyer in private practice in downtown Kansas City, Kansas. He handles criminal, divorce, child custody, juvenile, probate and guardianship cases. Nichols’ experience as a prosecutor and an attorney in private practice includes more than 40 jury trials in Wyandotte County courts. He was recognized as a top-rated attorney by Super Lawyers Magazine. He has served as a judge pro tem in Wyandotte County District Court, particularly in the Drug Court program. 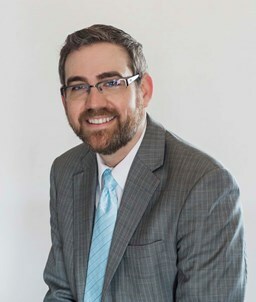 He also has spoken in the state capitol about legal issues, and is asked to share his knowledge with other lawyers, in person or teaching seminars. Nichols is a member of the Wyandotte County Juvenile Corrections Advisory Board and the Wyandotte County Bench-Bar Committee, where he works to try to improve the legal system. Nichols also serves as a guardian ad litem for persons suffering from mental illness, adults who can no longer care for themselves and children who need someone to give them a voice. He has received training in this area as well as training on how to work with patients who have suffered trauma. Nichols has not previously run for office. He grew up in Anthony, Kansas, a small town in the south central area of the state, and moved here more than 10 years ago. Nichols is a graduate of the University of Kansas, where he earned both a bachelor’s degree in religious studies and a law degree. After graduation, he went to work in the Wichita district attorney’s office, and after a few months, moved to the Kansas City area to work with the Wyandotte County district attorney’s office. After three years there, he went into private practice, where he has been since 2011. He and his wife Casey met in Kansas City, Kansas, and chose to start a family here. They have two daughters, ages 4 and 2, and their oldest daughter attends pre-school at St. Patrick’s Catholic School. In addition to serving on the Wyandotte County Juvenile Corrections Advisory Board, Nichols also serves on the Board of Directors for Leadership 2000 and previously served as its chairman. Glad to see a man of morality and Integrrty run for office in Kansas City Kansas, KS. Our community needs more God loving Individuals like you and you family to represent our Community. I hope you win this Election and bring hope and faith back to our Community.